1.Position 2 oven racks to upper and lower positions; preheat oven to 450°F. Heat large covered saucepot of water to boiling over high heat. Add sprouts and return to boiling; cook 3 minutes. Drain well. 2.In large bowl, whisk together oil and salt; add sprouts and toss until well coated. Transfer sprouts to 2 rimmed baking pans in single layer. Roast 15 to 17 minutes or until sprouts are golden brown on bottom, rotating pans between upper and lower racks halfway through baking; remove from oven. > Sprouts can be prepared as directed in step 1, covered and refrigerated up to 2 days in advance. 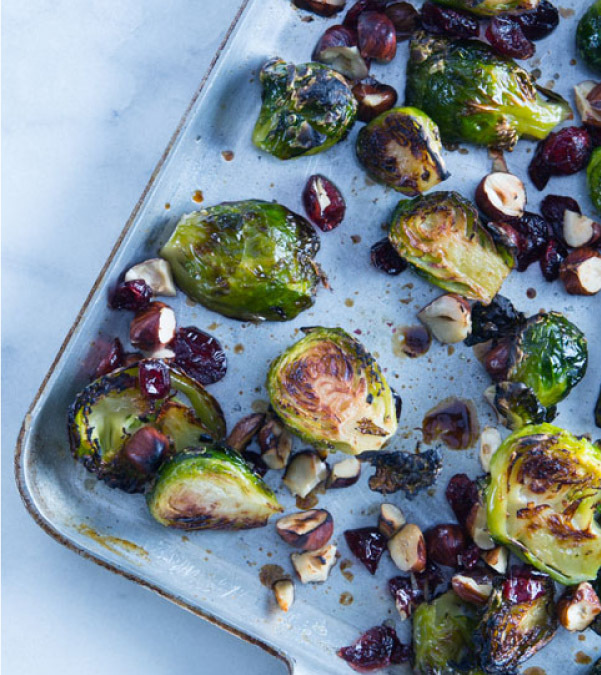 Let sprouts stand at room temperature 30 minutes before preheating oven and continuing with step 2.